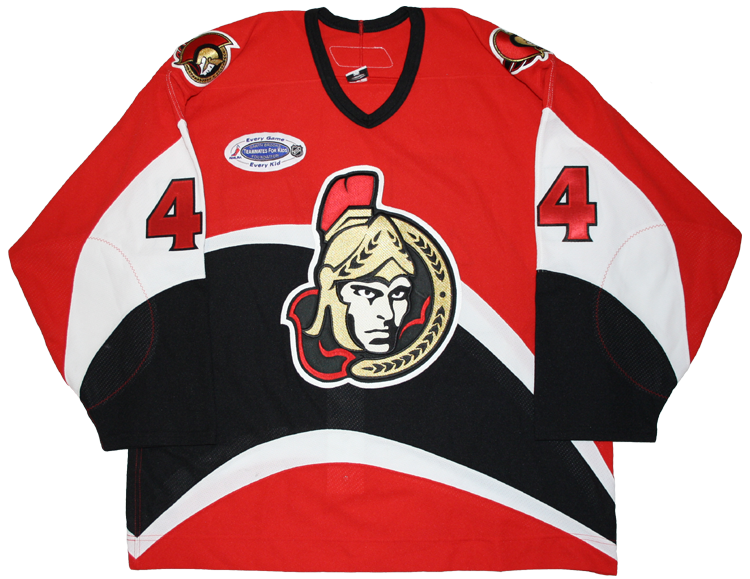 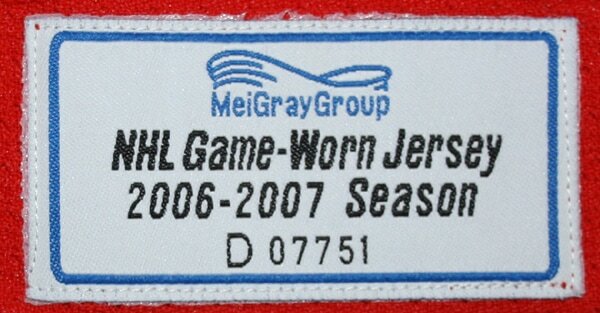 This jersey was worn by Patrick Eaves of the Ottawa Senators on January 6, 2007. 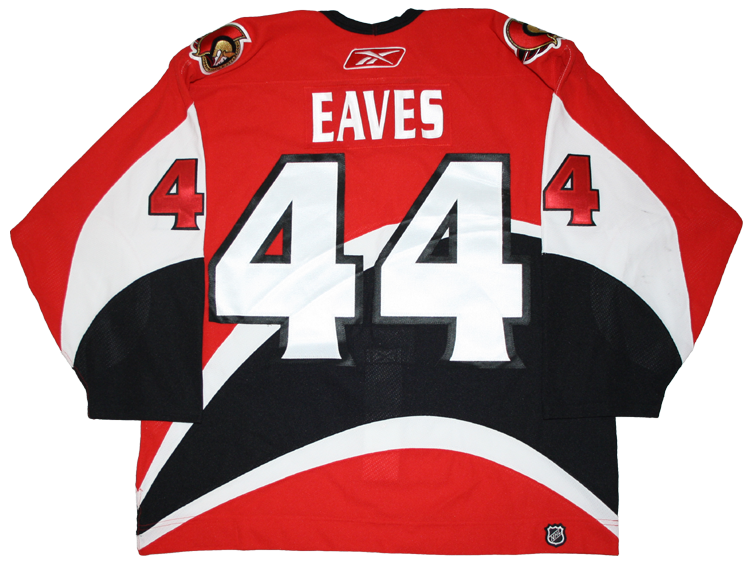 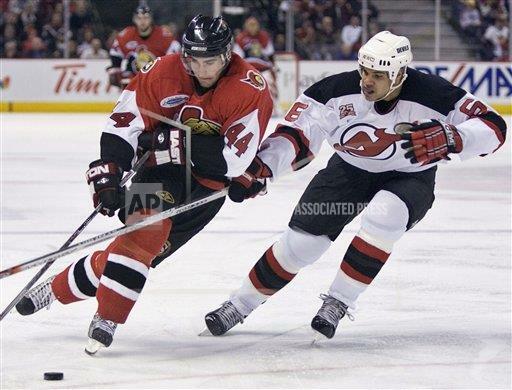 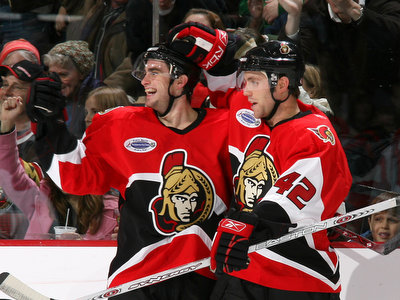 Eaves scored a goal in the Senators 3-2 loss to the New Jersey Devils. 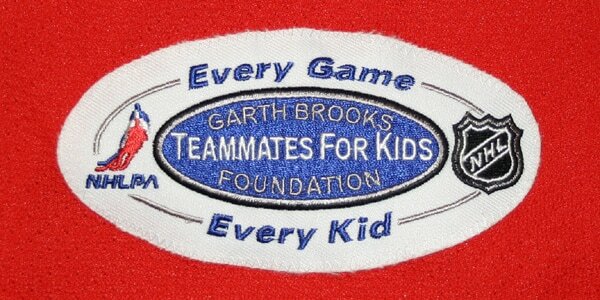 Affixed to the front of this jersey is the Garth Brooks Foundation Teammates for Kids patch which was only worn for this one game by the Senators.